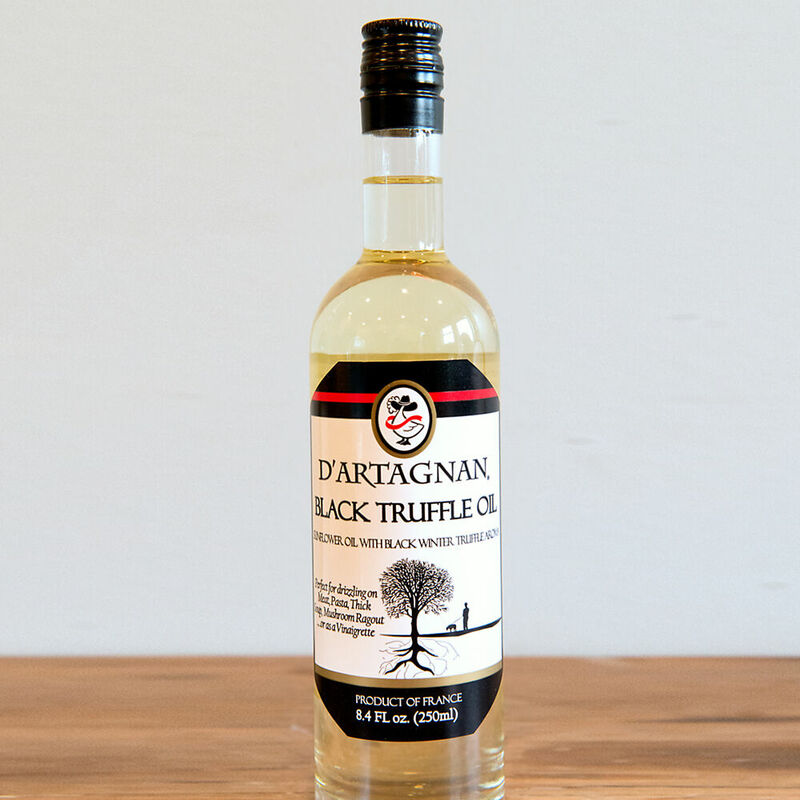 Black truffle oil, made with sunflower oil and French black truffle flavor. Truffle oil delivers the heady and unmatched flavor of truffles year round, and just a drizzle will transform your recipes. It provides a finishing touch to roasted meat and game, pasta and even hearty soups, and can be used to enhance sauces, marinades, and vinaigrettes.